AllegroMedical.com presents The Baseline® Pinch Gauge - Hydraulic - 100 Lb. Analog Output Signal, No Gauge. Baseline® hydraulic pinch gauge uses a hydraulic system to assure convenience, product reliability and measurement accuracy and repeatability. Therapist can support the pinch gauge during testing, yielding a more accurate result for all pinch tests. Use for tip, key and palmer tests. Maximum reading remains until the unit is reset. The Baseline® pinch gauge is made in USA and the results are consistent with published Baseline® and Jamar® studies. The strength reading can be viewed as pounds or kilograms. CE Certified. Comes in a protective carrying case. Baseline® ER™ transducer hydraulic pinch gauge has an extended range 100 pound capacity. 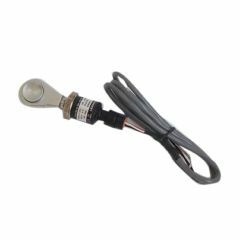 Unit has blue body and transducer that transmits an analog output signal carrying pressure reading. Unit has 2 year manufacturer’s warranty. The pinch gauge uses a hydraulic system to assure convenience, product reliability and measurement accuracy and repeatability. Therapist can support the pinch gauge during testing, yielding a more accurate result for all pinch tests. Use for tip, key and palmer tests. Maximum reading remains until the unit is reset. The Baseline® pinch gauge is made in USA and the results are consistent with published Baseline® and Jamar® studies. The strength reading can be viewed as pounds or kilograms. CE Certified. Comes in a protective carrying case. I've placed two different orders with Allegromedical - Both have arrived VERY timely, accurately and just as described. I am very impressed with the variety of products and service of Allegromedical- superior to many other companies I've ordered supplies from in the past.